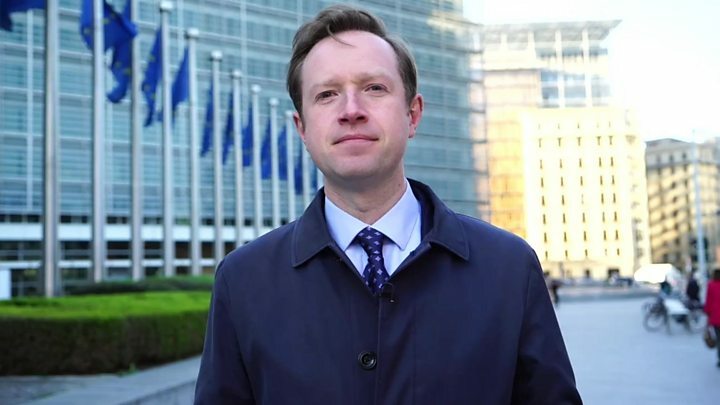 Media captionMay on Brexit extension: "The UK should have left the EU by now"
Media captionTusk on Brexit extension: "Please do not waste this time"
Media captionBBC's Adam Fleming explains how the EU agreed a Brexit delay. Fudge and can-kicking are the EU-familiar words that spring to mind at the end of this Brexit summit. After all the drama and speculation leading up to the meeting, effectively all that happened here is that the threat of a no-deal Brexit has been postponed for another six months. 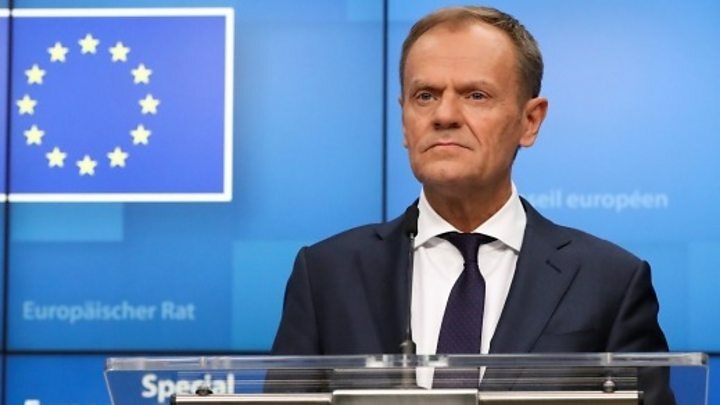 Time enough for the EU to hold European parliamentary elections, choose a new president of the European Commission and pass a new budget - without EU leaders having to keep one eye at least on the day-to-day dramas in the House of Commons. Despite EU leaders' rhetoric beforehand, they granted this extension without hearing a convincing plan of Brexit action from Theresa May. In the summit conclusions there is no evidence of the punitive safeguards mooted to ensure the UK "behaves itself" - refraining from blocking EU decisions - as long as it remains a club member. 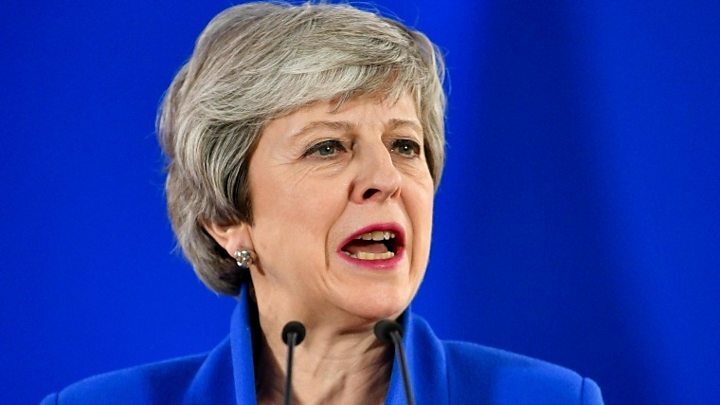 Yes, EU leaders worry about who might replace Theresa May as prime minister. Yes, they're concerned these six months could fly past with the UK as divided as ever but their message to the UK tonight was: "We've done our bit. Now you do yours. It's up to you. Please use the time well."